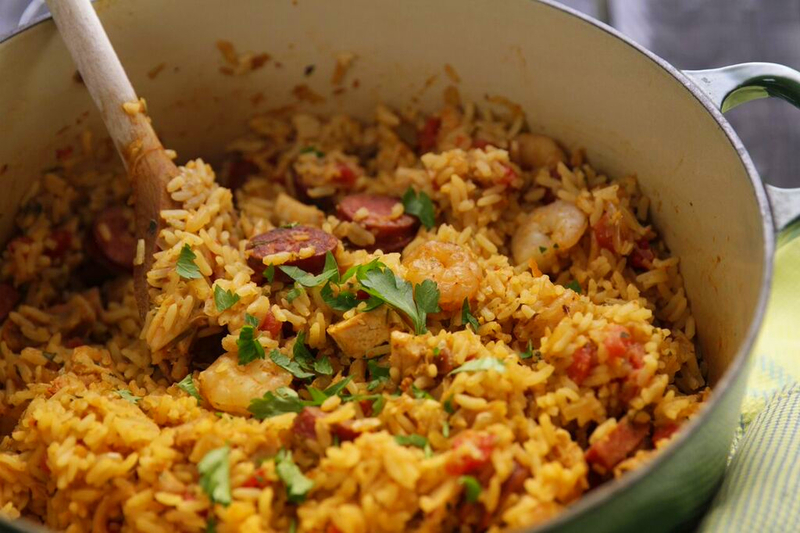 Jambalaya is both a Cajun and a Creole dish. The differences are subtle, and there’s sometimes confusion or debate over the traditional ingredients required for each. Simply put, you can usually tell by looking at a pot of jambalaya whether it’s Cajun or Creole: if it’s orange or reddish, it’s Creole – if it’s brown, it’s Cajun. Thankfully, both are delicious. 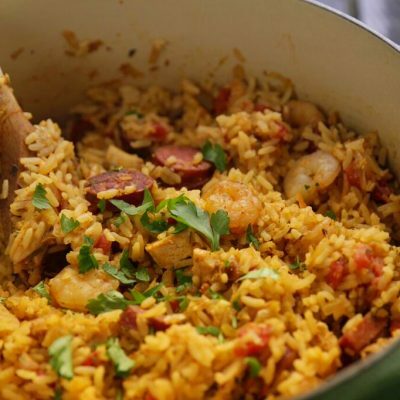 Let’s take a closer look, discuss the differences and learn how to make a traditional Creole jambalaya. New Orleans’ Creole cuisine came from the multiethnic influences and available ingredients – both indigenous and imported – available around the port city. The Cajun cuisine associated with French Acadian people who settled the swamps and prairies of southwest Louisiana is more rustic and came from what the land alone had to offer. Louisiana’s Cajuns get the credit for creating jambalaya. Like many Cajun dishes, Jambalaya is a one-pot meal, due to the historical reality that most Cajun families would have owned only one pot. 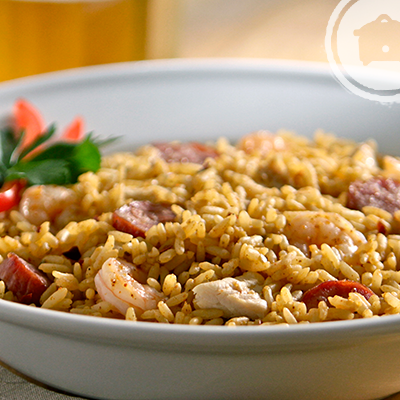 Today, Cajun jambalaya is often referred to as “brown” jambalaya because it is made without tomatoes. Cajuns wouldn’t have had access to tomatoes as part of their swamp pantry. Another difference – though not absolute – is the Cajuns’ historical method of adding all ingredients to the pot at one time (“dumping”), giving everything a good stir, covering it with a lid, and letting it go for a long, slow cook. Chicken, pork sausage, ham and game are commonly found in the Cajun version. 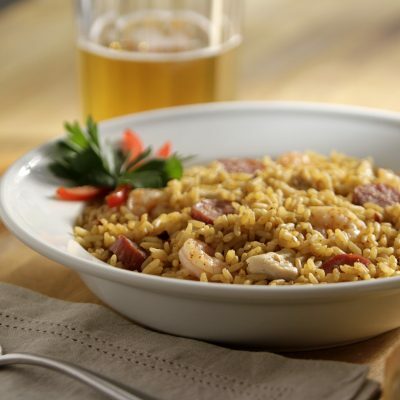 Creoles later adapted Cajun jambalaya to suit their more refined palates, adding fresh tomatoes available to them via the Port of New Orleans. Creole cooking is more about layering than Cajun cooking, and jambalaya is no exception. Within one pot, meats would be browned first, then onions added to caramelize, then bell pepper and celery would be added to sweat down… and so on, until the tomatoes and liquid would be added last, before the pot was covered and the rice set to steam. 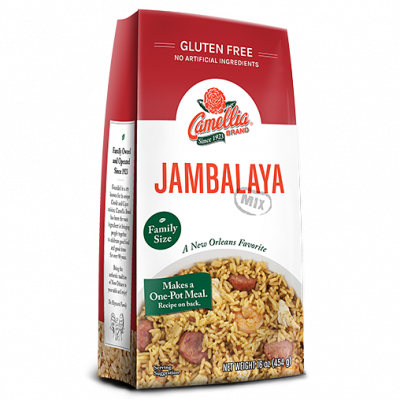 Finally, Creole “red” jambalaya often differs from the Cajun version in that it’s more likely to include shrimp. 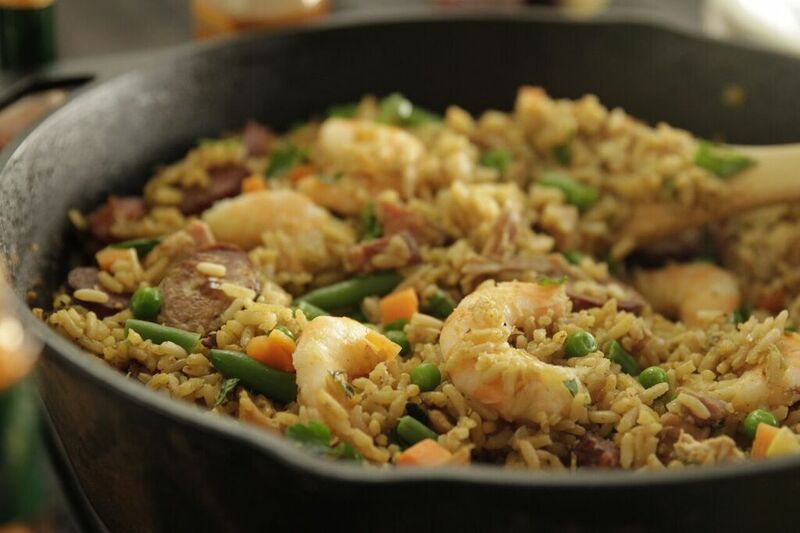 Jambalaya is often associated with cast iron cooking for a number of reasons. Long ago, cast iron was used for nearly all cooking because other materials weren’t often available. Families tended to have only one pot and used it for everything they cooked, often over an open fire. 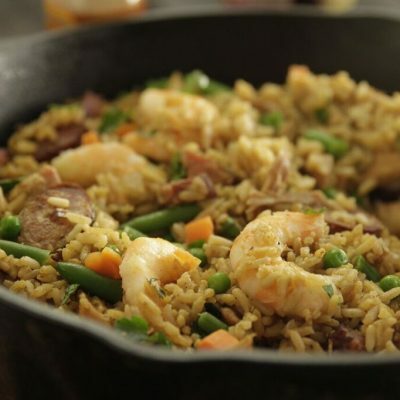 Cast iron cookware is superior for durability and heat conductivity and builds up a black layer of seasoning as it ages, making the pot naturally non-stick and imparting food with flavor – all perfect conditions for enhancing a delicious one-pot dish like jambalaya. Set a large heavy pot, preferably a cast iron Dutch oven, over medium-high heat. Add 2 tablespoons oil and the sausage and/or ham. Cook the meat until it is lightly browned and the fat has rendered out, about 6 minutes. Add the onions and cook, stirring frequently, until they develop a rich caramel color, about 8 minutes. Add the bell pepper and the celery and continue cooking until the vegetables have softened, about 4 minutes. Add the garlic and the chicken, stir thoroughly, and cook until the garlic is fragrant, about 3 minutes. Add the tomatoes and the broth; stir thoroughly. Add the contents of the package. Stir thoroughly. Bring the mixture to a simmer, cover, reduce heat to low, and cook for 30 minutes. If using shrimp, place them on top of the jambalaya in the pot when 5 minutes of cooking time remains. Remove the jambalaya from the heat and let stand for 5 minutes. Stir. Garnish with green onions if desired.